Every time if you want to listen to the song you need to browse from the folders of folders from your hard disk. Sometimes the music files of system are mess up with a lot of other information. So in order to avoid these type of situations... 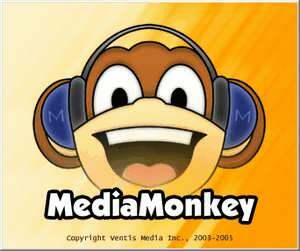 Here is the Media Monkey ! Which is a well known as Music Manager & Converter too.!!! Manage 50,000+ files in your music collection without bogging down. Manage all genres of audio: Rock, Classical, Audiobooks, Comedy, Podcasts, etc. Record CDs and convert MP3s, M4A, OGG, FLAC and WMA files etc. into other formats. Sync iPhones, iPods, & MP3 players, converting & leveling tracks on-the-fly.